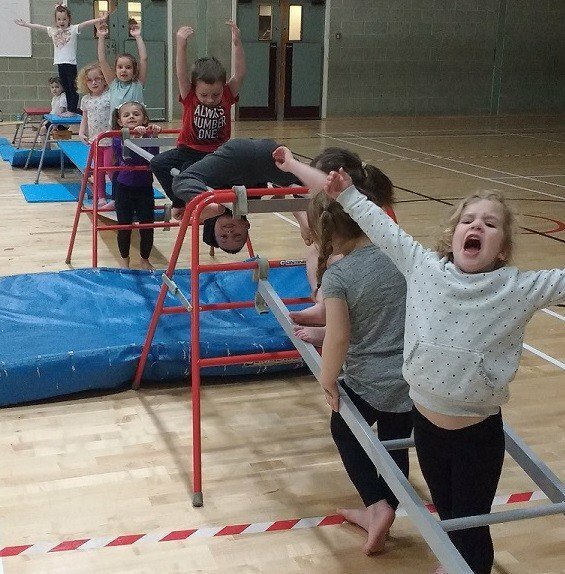 The last few weeks have seen great gymnastics taster sessions at Threeways on Nursery Lane. It is good to see gymnastics back at the centre, and we hope sessions develop in 2018. The Gymnastics Programme is one of the most popular aspects of the Sports and Fitness Centre. Children’s gymnastics classes are available for families throughout Halifax. Children start with beginners’ classes and work upwards in sessions run by trained and qualified staff. It must be noted that Threeways is a registered member of British Gymnastics. The gymnastics sessions run throughout the week in short sessions. Parents can stay and watch as well as enjoy a cuppa in our lounge area while the kids enjoy themselves in their class. For more information about the Gymnastics classes at Threeways contact hailey@3ways.org.uk or call 01422 728050. The classes are very popular and whilst Threeways do their very best to accommodate new members you need to act quickly to get a place for your child.